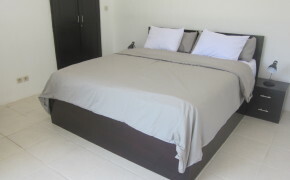 Mumbul has eight guest rooms and you can select your preferred room when booking, if of course it is available. 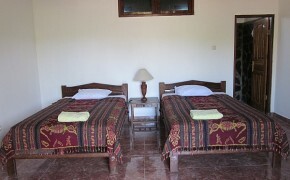 All of our rooms comfortably sleep two people, except for Room 2, 7 and 8 which has a double and two single beds. 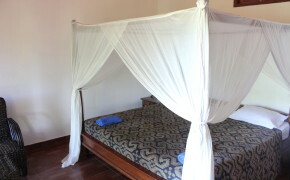 Room 2 has all of the beds together in one room, while rooms 7 and 8 have the beds in a loft space. 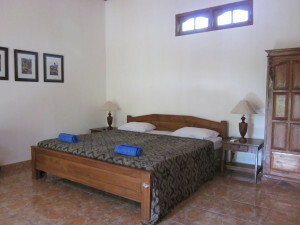 We also have an air mattress available if you would like to share the room with more than two people, but we do charge for each additional person. All of our rooms have air-conditioning, hot/cold water showers and satellite TV/DVD player. A selection of DVDs are available free for guests. 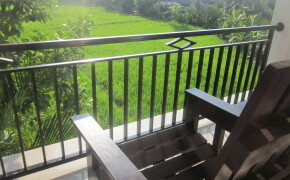 The rooms all have a terrace with chairs for sitting outside and all of the rooms look out onto the rice field. 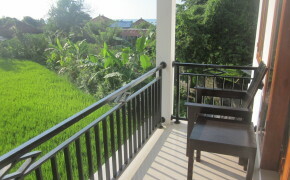 Wifi internet is available in all of the rooms. 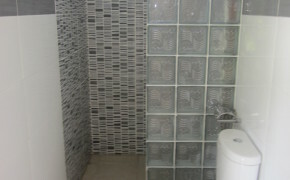 The rooms also have several power points in different parts of the room to charge any electrical goods you might have. Last updated by Ammanda Naibaho at June 9, 2015 . 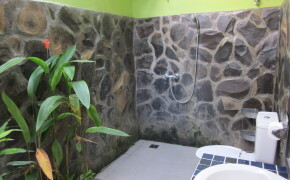 – Two single beds – Satellite television and DVD player – Reading lamp – Balinese style pitched ceiling – Air conditioning – Closed roof bathroom, with hot/cold water shower Last updated by Ammanda Naibaho at April 10, 2016.